ALBANY — Concerned about possible federal cuts to programs like Planned Parenthood, a Queens legislator wants the state to step in. Assemblywoman Nily Rozic said she will be introducing legislation this week requiring the state Health Department to create a program that would make up funding to Planned Parenthood and other family-planning programs cut by the feds. Designed to “ensure the continuity of family-planning services in the state,” the bill is modeled after one that recently passed in Maryland. “With the uncertainty coming out of Washington, it is critical that we take the necessary steps to ensure access to quality care is maintained in New York State,” Democrat Rozic said. The state program would fund providers like Planned Parenthood that offer services like cancer screenings, sexually transmitted disease testing, contraception, pregnancy care, and general well-woman visits. It would also cover providers that perform abortions. Rozic said the idea is to ensure that groups that provide women’s health services are not forced to close due to federal cuts. Trump last week signed a bill into law that allows states to deny federal family-planning money to groups like Planned Parenthood that perform abortions. Rozic fears Trump in May will seek to further erode family-planning service groups by eliminating funding for those offering abortions. If the federal government defunds Planned Parenthood, the organization in New York could see a loss of about $25 million in Medicaid reimbursement money and potentially another $10 million in direct federal grant dollars for preventive services, said Fern Whyland, a spokeswoman for Planned Parenthood Empire State Acts. The Assembly, during recent budget negotiations, sought to include a $20 million contingency fund for family-planning services, but the allocation did not make the final spending plan. The budget contains $750,000 in state funding for family-planning services that has been included in years past. A spokesman for Gov. Cuomo said the administration would have to see Rozic’s bill before commenting. Allowing federal family-service funds to be cut “hurts those who are already struggling to get by and those who already face barriers accessing health care — especially people of color, those with low to moderate incomes, as well as people who live in rural areas,” Golston said. The bill faces an uphill battle in the GOP-controlled Senate. State Conservative Party Michael Long said lawmakers should reject any legislation that would continue funding to Planned Parenthood and other groups that perform abortions. He said he would not be against the state making up for lost federal funding for other family-planning services like prenatal care — but only if they find the money by making cuts to other parts of the budget. “We have a large enough budget that you don’t have to create something new to adjust to any shortages from the federal government,” Long said. 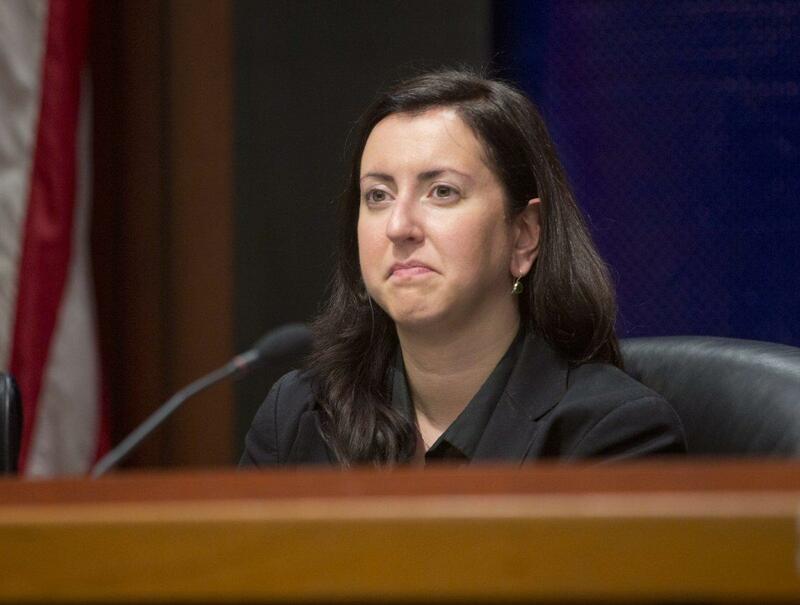 Rozic said her bill, if passed, would build on a provision in the new state budget that allows the governor to come up with a plan to address federal cuts that total more than $850 million. The governor’s plan would automatically go into effect unless the Legislature comes up with one of its own within 90 days.